Odessa has a little something for everyone to enjoy, along with quite a few surprises. This West Texas town, and its neighbor Midland, has as many museums as it does quirky sites. Spend some time at the Smithsonian-affiliated Ellen Noël Art Museum of the Permian Basin, watch a play at the Globe of the Great Southwest, a replica of William Shakespeare’s Globe Theatre in London, then visit an astronomically accurate reproduction of Stonehenge. Visit one of Odessa’s historic homes, then snap a selfie with an eight-foot-tall statue of a jack rabbit. This compelling combination of straight-laced culture and wacky attractions makes Odessa a fantastic place to visit. Since there’s so much to see and do here, we’ve put together a list of the many attractions in Odessa to give you a taste of what this West Texas city has to offer. 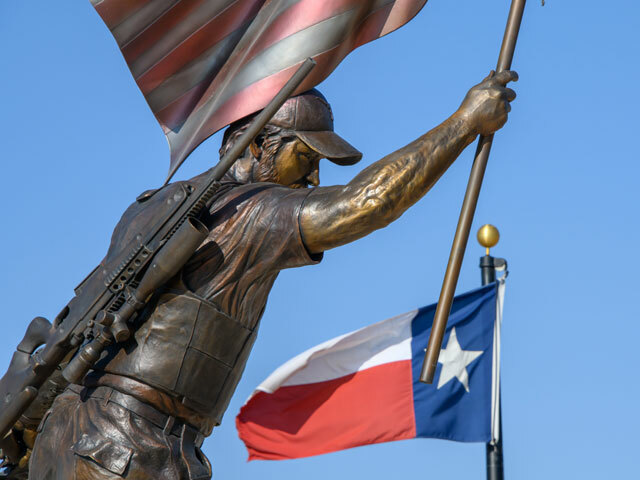 Visit Odessa’s memorial to decorated US Navy SEAL and “American Sniper” Chris Kyle, a 2,800-square-foot plaza made of black granite and Texas limestone. Along with the statue at the center of the plaza, the memorial contains symbols related to his time in the military, including three tridents in remembrance of Kyle and others who served in the SEALs. Browse more than 20,000 square feet of galleries full of world-class art at the Ellen Noël Art Museum of the Permian Basin in Odessa, a Smithsonian-affiliated museum. Three distinct galleries comprise the museum, which routinely displays everything from classic Old World paintings to more contemporary works. The museum also has a sensory garden and a library stocked with books about art and artists. 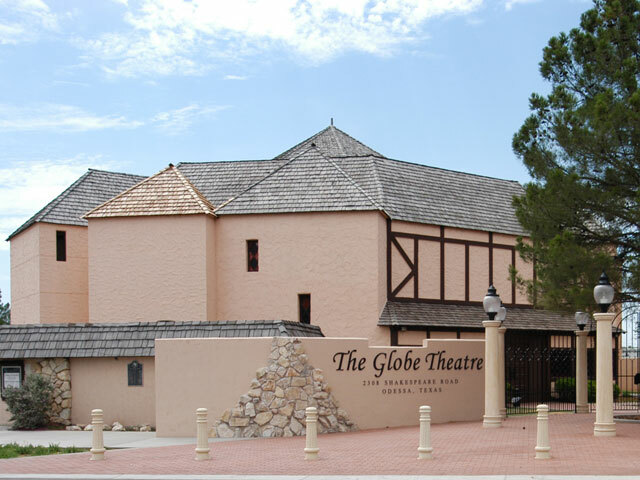 Experience Shakespearean theater in the heart of Odessa, Texas, at the Globe of the Great Southwest. The Globe is a to-scale replica of Shakespeare’s Globe Theatre in London located on the south side of Odessa College’s campus. Theatrical productions include classics such as Romeo and Juliet and A Midsummer Night’s Dream, as well as contemporary plays like Beauty and the Beast and August: Osage County. A replica of the home Shakespeare’s wife, Anne Hathaway, lived in as a child is located just next door. Jack Ben Rabbit is an eight-foot-tall statue that is known as the “World’s Largest Jack Rabbit.” The statue was built in 1962 and has since become a historic landmark and a bit of a local celebrity. No trip to Odessa is complete without visiting Jack Ben Rabbit, who sits outside of the Ector County Independent School District administration building. Jack Ben Rabbit isn’t the only larger-than-life rabbit in Odessa. In fact, there are 37 other brightly decorated bunnies, known as the Jamboree Rabbits, scattered throughout town. Each of these rabbit statues was decorated by individuals and organizations as part of the first large-scale community art project in Odessa’s history. Going on a scavenger hunt for these colorfully hued hares offers a fun way to see one of Odessa’s top attractions while you explore the town. The locations of each of these statues can be found here. Music fans will find much to enjoy about Midland-Odessa Symphony & Chorale, which is composed of a symphony orchestra, a chorale, and a three instrumental ensembles. Performances are held at the Wagner Noël Performing Arts Center from mid-September until the beginning of May. Monahans Sandhills State Park boasts 3,840 acres of majestic sand dunes, a truly unique sight in Texas. The park, situated about 35 miles southwest of Odessa, offers one of the few places for sand dune surfing in Texas. A campground, a visitor center, and an 800-acre equestrian area with unmarked trails are part of the park. Sand toboggans and disks can be rented at the park’s headquarters. The Odessa Meteor Crater is a truly remarkable geological site. At 550 feet wide, it’s one of the largest meteor craters in the United States. It was created 20,000 to 50,000 years ago by a barrage of meteors that hit about 10 miles west of downtown Odessa. The crater can be visited from 9 a.m. to 5 p.m. any day of the year. An on-site museum contains a collection of large iron meteorites and is open Tuesday through Sunday. Discover Odessa’s ranching history from the perspective of a prominent family at the Parker House Ranching Museum. The museum, set within the Parker family’s restored home, is furnished with period decor and exhibits that offer insight into life in Odessa at the start of the 20th century. The Permian Playhouse is a performing arts theater company that produces a variety of plays throughout the year. It includes the Kaleidoscope Company, an elite group of young actors in the seventh through 12th grade that produces performances of its own, and a theatre school for youngsters to learn the art. Information about the current shows can be found on the company’s website. Explore the history of American presidents at Odessa’s Presidential Archive and Leadership Library. The library, located on the campus of the University of Texas of the Permian Basin, offers a thorough collection of presidential portraits, campaign materials, documents, and other collectibles that provide a bit of insight into each leader. Along with the displays, the museum also features The Bush Home, where Presidents George H. W. Bush and George W. Bush lived in the late 1940’s. Experience one of England’s great landmarks right in West Texas at Stonehenge Odessa, a replica of the iconic historic site. Twenty stone blocks similar in size and shape to the original Stonehenge comprise the version in Odessa, located on the campus of the University of Texas of the Permian Basin. Step inside The Historic White-Pool House, one of Odessa’s oldest structures. The home, built in 1887 by a family from Indiana, contains exhibits that showcase different periods of Odessa’s history. An on-site replica barn offers visitors the chance to get a glimpse at what early ranching life was like in town. The museum is open Friday and Saturday from 10 a.m. to 3 p.m. 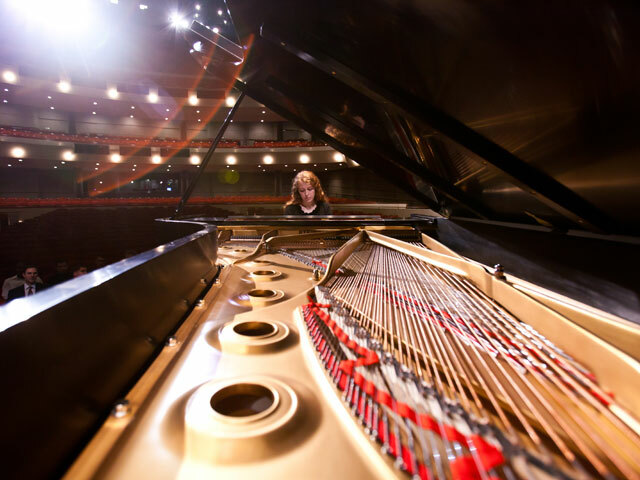 Enjoy fantastic entertainment at the world-class Wagner Noël Performing Arts Center, located about 15 miles northeast of Odessa on the campus of the University of Texas of the Permian Basin. The theater hosts a variety of lectures and musical performances by everything from country bands to large symphonies. Performance schedules and ticket purchases are available on the venue’s website.